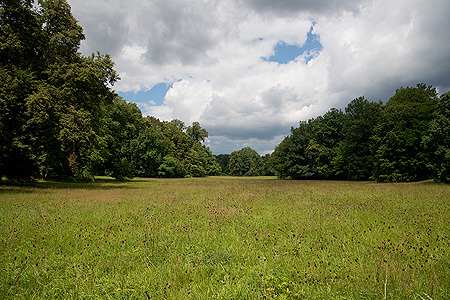 The landscape garden surrounding Rosenau Palace has a rich variety of park scenery and extensive views. Created in the early 19th century as an "ornamented farm" covering an area of 200 hectares, it is the work of an unknown designer. 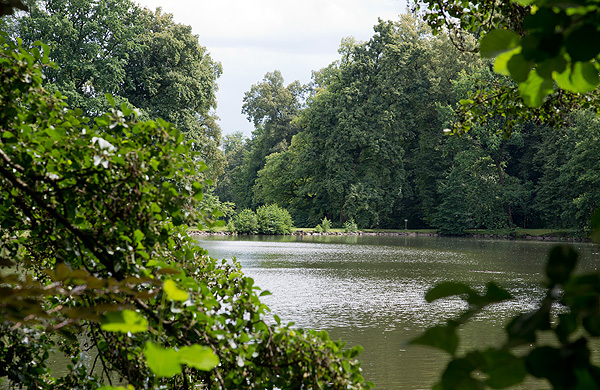 In addition to the large Swan Pond and the small Princes' Pond, the features of the original park that can still be seen today include a grotto with a waterfall, several stone benches, the remains of an artificial waterfall into the River Itz, the farm (today the park administrative buildings) the tea house (today the park restaurant) and the orangery (today the event room). The tournament column (sundial) originates from the "knight's tournaments" held in the park at the time of Ernst I.